This type of toothpaste represents more than 90% of US sales. It’s what most people picture when they think of the product. This widespread recognition is due to one simple fact: results. Standard fluoridated toothpaste has helped hundreds of millions of people to enjoy better oral health. A natural substance, fluoride works with the calcium in your body to strengthen your teeth. Toothpaste made for children typically has less fluoride and less abrasives than standard formulas. This makes it a great choice both for younger people and for those with sensitive teeth. Whitening Toothpastes: Do They Work? As time goes on, our teeth can lose much of their natural gleam. This problem can stem from by many factors, including lifestyle choices and hereditary factors. Whitening toothpastes help to counter these effects with added stain-fighting ingredients. They’re a good choice when used to supplement professional whitening treatments from your dentist. Herbal Toothpastes: The Natural Choice? Herbal and so-called “natural” toothpastes lack many of the additives found in standard brands, such as abrasives. They can be a good choice for those with especially sensitive teeth. Look for a brand with added fluoride. When plaque stays on your teeth for too long, it can harden into tartar, a whitish, difficult to remove substance that promotes cavities. Tartar control toothpaste helps to minimize the plaque formation process, keeping the teeth cleaner in between dental visits. People who wear dentures must clean and care for their prosthetic daily. The most effective way to do this is with cleansing denture crystal, which do a more thorough job than traditional toothpaste. People who smoke or use tobacco products face special challenges when it comes to keeping their teeth clean. Smokers toothpaste comes with added abrasives that help to counter tobacco stains. While these products do offer some benefits, the best way to avoid smoking-related stains is to quit the habit altogether. Ask your dentist about new medication that can help. 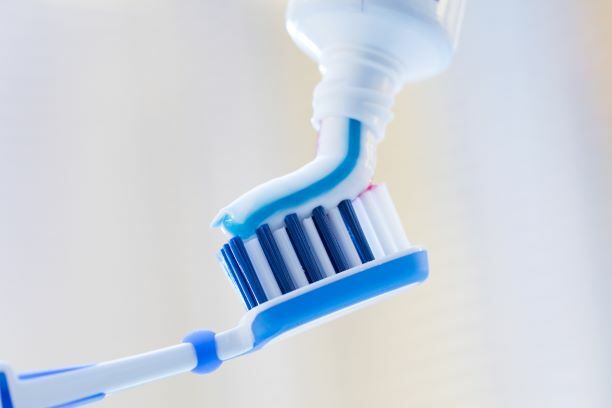 You’ll find many types of specialty toothpaste on today’s market, more than we can discuss in a single blog post. Whichever brand you ultimately choose, make sure it carries the ADA seal of acceptance on the packaging. That’s the best way to ensure quality, safety, and effectiveness. When all is said and done, the brand of toothpaste you choose is less important than how often you use it. Brushing at least twice a is the foundation of good oral health. Use the tips in this post to help you enjoy brighter smiles in the days and years to come. For Dr. Megan Shelton, being a dentist is the fulfillment of a dream she has had since age 12. A graduate of the University of Louisville School of Dentistry, Dr. Shelton is a proud member of the American Dental Association (ADA) and the San Diego County Dental Society. You can reach her office online or by calling (760) 434-9800.